Born a diamond. Always shining through the rough. 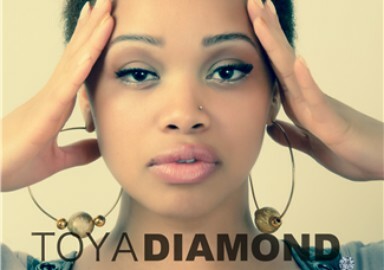 Built by pressures endured and refined by obstacles overcame, Toya Diamond is devoted to making her mark as one of Torontos rising stars. She's had the opportunity to work with some talented individuals such as producers, Mega Man and Boi 1da, vocalist Kim Davis, Mr International Kardinal Offishall where she appeared in his "We Gon Go" video, and graced Universal France with her mesmerising melodies on their 2010 Junior Caldera record "Lights". 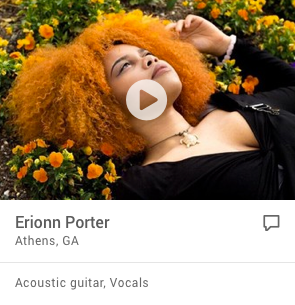 This singer/ songwriter owns sweet yet powerful vocals and easily demands the attention of listeners as she handles each song with passion and control. Her sound is fun, vibrant and packs a lot of character but ToyaDiamond also has a serious side that tells of love and lessons of life. From a young age, Toya Diamond discovered that music was her first love. Music was there when life was good, and more importantly, music was still there when times were hard. Writing became a calming form of expression an escape of sorts - as she was often misunderstood. At 15, Toyas first studio experience transformed powerful words and vocals into a dedication that would not be stopped. Toya Diamond is working with Jeff Smith - S.T.A.R Entertainment - to get back into her groove and move things forward. 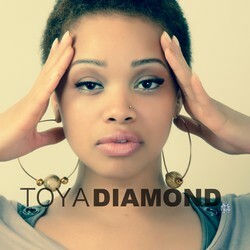 Toya Diamond Recently won herself the title of Female R&B artist of the year at Chatty Chatty's 2012 awards show. She is gaining herself some international notice working with Ken Ring of Switzerland, Tallas Records and various artists in Jamaica and is setting her sights on projects in the UK. Her debut single "Friday", set to be released in early 2013 is produced by Tony Range.